Graduate Student Advisory Board (GSAB) records show we have $5000. Events are planned for fall 2018! Edward did not attend this SGO meeting to give an update. 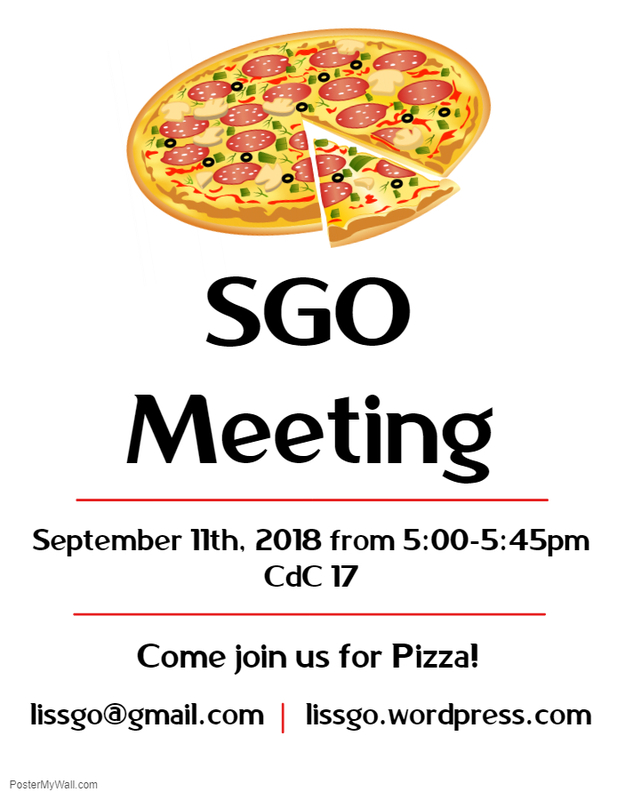 Diane did not attend this SGO meeting to give an update. Email SGO if you’re interested in working on orientation! Minnesota Library Association (MLA) Conference is coming up! Kait, Janis, Trish, Ellie, Lindsey, Deb T., Sierra, Alexis, Rachel, Aubrey, Heidi, Mary, Ann, Patrick, Kallie & Deb E.